China! Why China? Well, as I have 52 weeks holiday every year, and Marjorie only has 4 weeks, I decided that I was going to head off on my own. I discovered the University of Calgary "Travel Study" program which had about 10 different travel packages to choose from. They mostly included a 6 week pre-trip lecture series which really appealed to me. I didn't want to go somewhere that Marj wanted to go, so I asked her where she had no interest in going. That's how I chose China. The 6 history lectures covered the major dynasties, from the Xia Dynasty through to the Qing Dynasty. We also did a session on the 20th century. 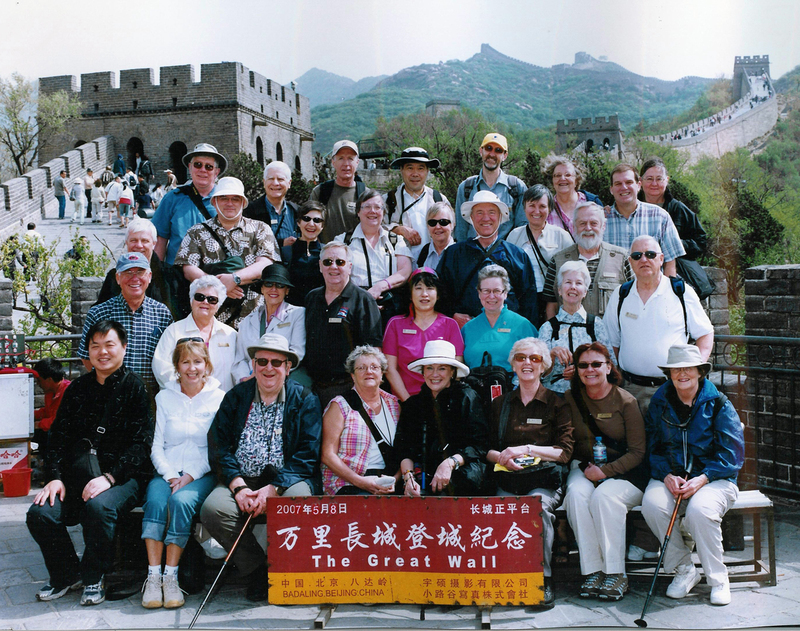 The lectures also gave us the opportunity to get to know the other members of the travelling group. 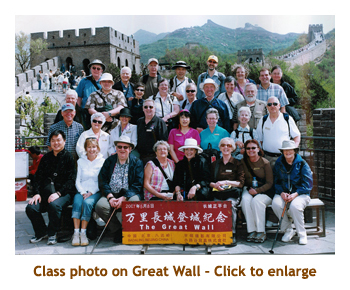 They turned out to be a wonderful group of people and certainly added to the enjoyment of the trip. 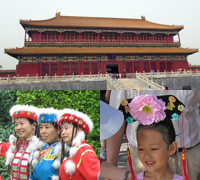 My past trips have paled in comparison to all that we saw and did in China. Whereas my previous trip diaries have been one Web page per trip, I have broken this diary into 3 pages so that it is not too unwieldly and doesn't take half a day to load! Just click on the part that you wish to view. Also have a page of humour (funny people photos) and an annotated "who's who" version of the class photo. The diary is based on a series of emails that I sent out (almost) every night from my hotel room while on the trip. Thus it tends to address what I felt and saw along the way rather than being a travel guide to the area. I took over 2,500 pictures but only included a very small subset into the diary. It was hard to pick which pictures were most representative. You can see more of my China pictures on WebShots.